On Sunday, 18 June at 4 pm, cellist Aare Tammesalu will make the exhibition halls of Tallinn Art Hall reverberate with his challenging concert SOLO. Aare Tammesalu regularly participates at festivals and concert series both in Estonia and abroad, performing both a classical as well as contemporary repertoire. Aside from being a member of the ensembles Resonabilis, Tobias String Quartet, Reval Ensemble, he is also an active concert organiser and teacher. Aare Tammesalu has also been the first person to perform works by Lepo Sumera, Eino Tamberg, Toivo Tulev, Giovanni Bonato and others. This concert programme is a dialogue with the Tallinn Art Hall exhibition “Global Control and Censorship”, which ponders the possibilities of modern technology intruding into our inner selves. How easy are we to manipulate, control, influence and direct? How much, if at all, do we perceive this? It is goodo search for answers to these questions while listening to music by Mirjam Tally, Marianna Liik, Carl Vine and Aare Tammesalu himself and perusing the exceptionally thought-provoking exhibition. 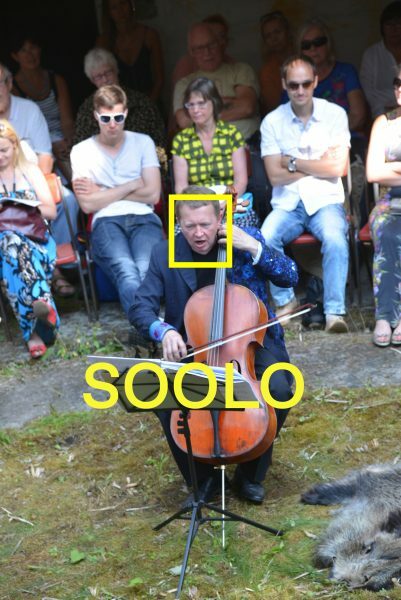 SOLO concerts are organised in collaboration with Tallinn Art Hall, curated by Robert Jürjendal.